There are a lot of places in Africa that should be high up on your travel bucket list, and I believe that Zambia should be one of them! After all, aside from the fact that you can find the famed Victoria Falls on its borders, you’ll also find a lush wilderness and a diverse wildlife that will fill you to the brim with awe. And if by chance you are worried about ease of entry, don’t fret because getting a Zambia visa is fairly easy — especially now that they offer the possibility of doing it online through an e-Visa application. NO ONE can give you a guarantee on your Zambia visa’s approval — not even a lawyer, a consultant, a travel agent, or an embassy employee. Anyone who says otherwise is most likely going to be a scammer. That being said, what I can offer you here is a comprehensive guide with helpful tips to increase your chances of getting that Zambia tourist visa. Top photo of Victoria Falls from Shutterstock.com. As an alternative to visas issued at Zambia embassies, missions and ports of entry, it is now possible for all foreign nationals to apply online for a Zambia e-Visa through this link. This kind of Zambia visa will be valid for 3 months (90 days) from the approval date, and you must enter the country on any date within this period — failure to enter within this period renders the e-Visa invalid, and thus you will have to make a new application. If you’re a national/citizen of any of the countries listed below, then you do NOT need to apply for a Zambia visa / e-Visa. Naturally, if you do NOT find your country above, then you need to apply for a Zambia visa / e-Visa. Of course you can opt to apply through your local Zambia embassy, but if you want an easier and faster way, then getting an e-Visa online is far better. To date, it is possible to apply for single entry, double entry, multiple entry, and transit e-Visa. – If you are visiting less than 24 hours only, Zambia can issue a ‘day trippers’ visa for $20 but this is only issued at a port of entry (Victoria Falls and Kazungula Border Controls). Take note that for this, you must also exit at that same port. This kind of visa also applies to tourists visiting Zambia and who also wish to visit a neighboring country and then re-enter Zambia again within 24 hours. – If you plan to visit both Zimbabwe and Zambia for multiple times, you can apply for a KAZA Univisa ($50). You can check this link if you’re eligible for this. Take note that this visa is valid for up to 30 days as long as you remain within Zambia and Zimbabwe, and you can apply for it online or at certain ports of entry. It also covers those who visit Botswana for day-trips through Kazungula Borders. The photo must be a .JPEG file. Ensure that your passport is valid for at least 6 months from the date that you intend to enter Zambia. Your passport must also have at least 2 consecutive blank pages. A signed document written by you, wherein you basically explain your reason for traveling to Zambia. This should be addressed to the Director General of Immigration. For a sample letter, you can see the one that I wrote here. This is a document that is needed and which you must also upload for your online application. TIP: See here for a list of the ‘best hotels in Zambia‘. In case you’re wondering where to look for the best flight deals, my go-to platform is Skyscanner. It always looks for the best fares and flight combinations possible across all airlines. This should be signed and addressed to the Director General of Immigration by your host. It must also include the full physical address and telephone number of your host. i.e. copy of NRC/ Zambia Immigration Permit. Note that persons on Study, Visiting, Temporary Employment Permit and Temporal Permits CANNOT invite visitors or act as hosts for a Zambia visa application. ***Depending on your nationality, type of visa desired, and purpose of visit, there may be additional requirements that will be needed from you (which is not listed above). Rest assured, you will be informed of these requirements after you select your country, type of visa, and travel dates on the online portal for the Zambia e-Visa. To finally initiate your Zambia visa application, simply go to this website and click the green button that says “Apply” under the first white box titled ‘✓ 1. Apply’. The next pages will be very easy and self-explanatory as it asks for important information regarding you and your intended Zambia trip. I will NOT go into so much detail on this because every section will be pretty straightforward and easy to understand when you’re filling it up. NOTE: Enter an active email address that you use because they will be communicating with you through it. This is issued only by the Headquarters through the e-Visa online facility. NOTE: Single, double and multiple entry visas are valid for ninety (90) days or 3 months from the date of issuance, with the exception of nationals from the United States of America (since multiple entry visas issued to them have a validity of three (3) years, on reciprocal basis). For those who are transiting through Zambia using land transport, and it will be valid for a maximum period of seven (7) days. WHAT IS THE METHOD OF PAYMENT? You can pay the visa fee via debit or credit card on the online portal. Once this visa fee payment is made, your application will be instantly submitted for processing and you will also receive an email that indicates your reference no. (which you can use later on to track the status of your application). In a separate email, you will also receive a receipt of your visa fee payment and you must print this and present it when you enter Zambia. !!! IMPORTANT: In this email, they will also be sending a confirmation link which you need to click in order to verify your email address and activate your Zambia visa application. If you do not confirm within 1 hour, your application will be cancelled — so make sure that you click it. Within 3 or 5 working days — as dependent on your visa category — you can expect to receive a feedback regarding your Zambia visa application via the email that you registered on the e-Visa online portal. If you want to, you can track the progress of your application by going to this link. Just enter your reference no. and passport no to check the status. For my case, I got my approval letter in just 3 working days! If your application is successful, your Zambia e-Visa authorization / approval letter will be attached in the email that will be sent to you (you can also download it from this link). 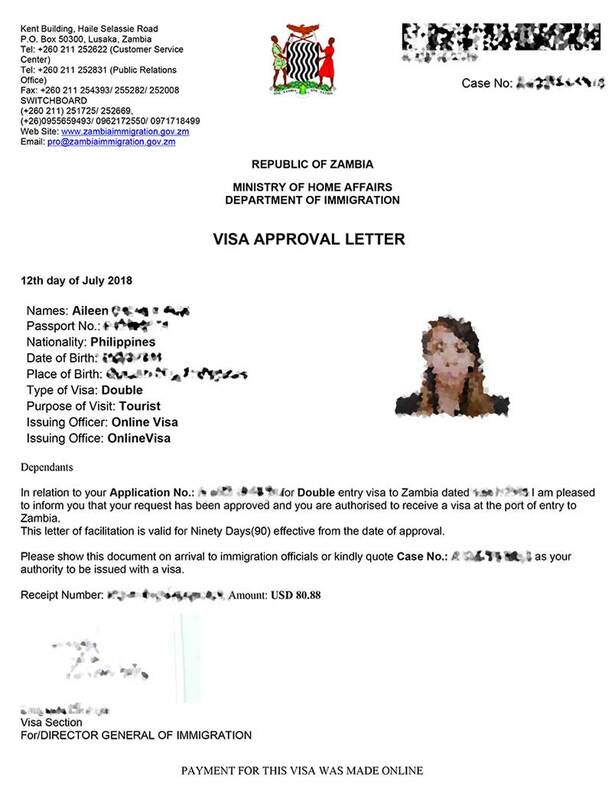 Simply print out this letter and then present it together with your passport and visa fee payment receipt upon arrival in Zambia. Immigration officers at ports of entry can verify your e-Visa on their system; but remember that as is the case with all visas, it is their right and discretion to deny you entry even if you have an e-Visa authorization / approval letter. But rest assured, as long as you have all your documents ready, you should be fine! IMPORTANT: If you are arriving from or have transited through a yellow fever zone, you must carry a yellow fever vaccination card since it may be required of you at the port of entry. For a list of the countries that are deemed at a risk for yellow fever, go to this link. For a more updated list, you can inquire with your local Zambia embassy. Activities to do in Zambia? I highly advise that you get travel insurance for your trip. 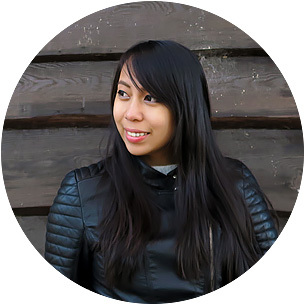 To avail, I recommend World Nomads since they offer the best price and coverage internationally. ◘◘ How early can I apply for my Zambia visa visa? You can apply 30 days before your flight. Just remember that the Zambia visa approval letter is valid for 3 months from the approval date — so you must enter Zambia on any date within this period. Failure to enter within this period renders your Zambia e-Visa invalid and thus you will you will have to make a new application. The Embassy of Zambia did not explicitly state a money requirement, so just make sure that your bank account covers the cost of your flight, accommodation and daily expenses for the trip. ◘◘ How long does it take to get the results of my Zambia visa application? Like I’ve mentioned above, it usually takes 3 or 5 working days. I got mine in just 3 days. You can check here to track the progress of your Zambia visa application. 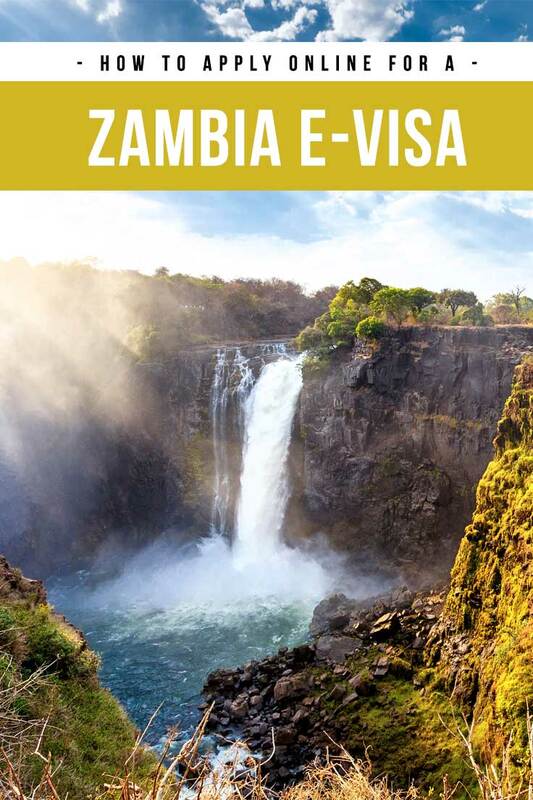 Applying for a Zambia e-Visa is relatively easy, and I hope that with this visa guide, I can help you prepare your documents and requirements better. If you’ve already applied for a Zambie e-Visa before, how was your experience? Hey Deannisa, I'm so sorry to hear this. And this is quite odd. I also had the same situation as you wherein I stayed in Zimbabwe and flew from their airport with Zambia as an 'in between' trip. Are you applying for a double entry? Thank you for the step by step application list I may consider it because Zambia is definitely on my bucket list.